According to Zen Studios, developers will "do better" on XBLA than PSN. Sony recently had some harsh words for Microsoft regarding Xbox Live Arcade's content policy. Zen Studios, which has stepped up to the plate to defend Microsoft on other issues, stood up for its distributor once again. 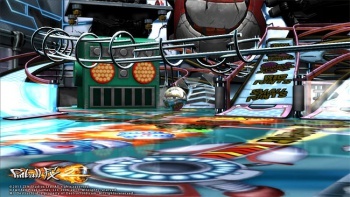 The pinball-focused developer asserted not only that Microsoft's content policy is fair, but that Sony is lashing out at Microsoft in an attempt to cover up its own failings. "I'll be perfectly honest, you're going to do better on XBLA than you will on PSN," said Mel Kirk, a VP at Zen Studios. In particular, Zen tackled a claim made by Sony that Microsoft was trying to cover up its "inferior technology." "If [Microsoft is] holding back features in games because they can't do what PlayStation does, I would agree with you," Kirk explained. "But I really don't understand that. Is there an actual specific title we can talk about?" Zen Studios also felt that if Sony was going to point fingers, it should first look inward. "When PSN went down, of course it was a huge story. But then ... E3 came and it was all gone and forgotten about," said Kirk. He went on to explain how Sony's communication with developers was sub-par, as Zen learned about PSN - and its content - going back up via Facebook and Twitter. "We missed two releases in the PSN outage," he pointed out. Defending one distributor by attacking another one is a strange strategy, but given all the flak XBLA has received lately, it's not that surprising that a company that had positive experiences would want to step up and defend it. As for whether Zen has effectively burned its bridges with Sony, time will tell.